We hope you are having a good Passover! 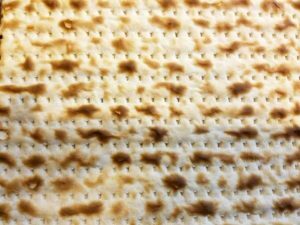 Please join us Friday for our Shabbat Pesach Service, including a Yizkor Service of Remembrance, and again on Sunday to learn how to lead a Shabbat service yourself! Friday, April 6, 2018, 7:30 p.m.
(No Friday services this week—enjoy your seders at home!) Bring your friends and family to our fun, meaningful, and exciting Passover seder! Children and friends from the wider community are welcome.Reservations are required. E-mail seder@temv.org immediately. We ask that each family bring one or two food items (to serve 8 to 10 people total). Please also let us know if you are willing to help with table setting and seder plate preparation! Rabbi Sparr is available for office hours Friday and Sunday this week; appointments must be made in advance by contacting her at rabbi@temv.org, or during business hours at 508-736-5555. In an emergency or urgent need, do phone at any hour. In session. Bar/Bat Mitzvah Boot Camp and tallit making for all students and their parents/caregivers in grade 4 and above. Hebrew Reading class continues this Sunday, April 8, at 2:00 p.m. Please record your own video (ideally, under three-minutes) via smartphone or other device with your thoughts about what makes TEMV special to you. Send it to us via the free and simple wetransfer.com service. (Please do not send us video files via your usual e-mail service, as they are generally too big to handle easily via e-mail.) We will likely also have another day of recording at the temple (with recording equipment already set up) for those who prefer to do it that way. Parents: We welcome children’s participation, but you must confirm that this is okay with you. You may also send written reflections to publicity@temv.org as plain e-mail, a Microsoft Word document, Google Doc, or PDF. We may edit gently for typos.